Categories: Braces, Splints and Supports, Compression Socks, Health and Household, Medical Supplies and Equipment. 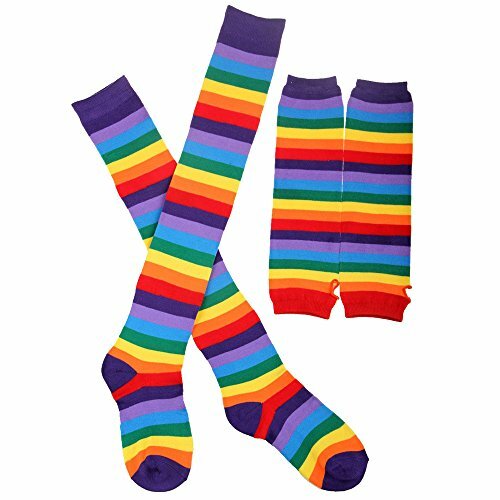 – The rainbow knee high socks gloves set are made of 80% acrylic & 20% spandex, soft & comfy. – Designed with bright rainbow colors to attract other’s attention. 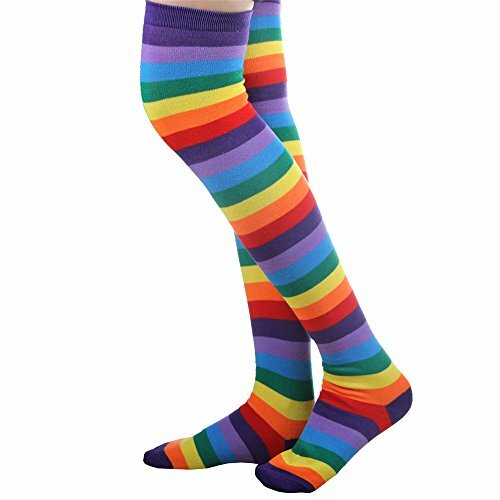 – Rainbow thigh high socks are length 64cm and can maybe be stretched over the knees. Rainbow striped fingerless gloves length 36cm and can be stretch down 3/4 of the forearm. 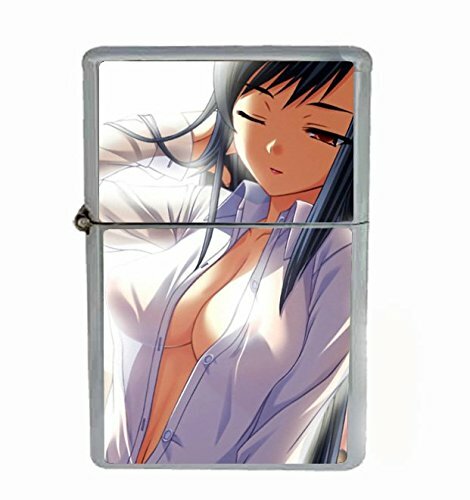 One size fits most women. – Simple but fashionable design keeps you looking good. This rainbow fingerless long knit gloves and stockings set are suitable for halloween costume, fun party, cosplay performance and show, get ones for highlight party and normal life. 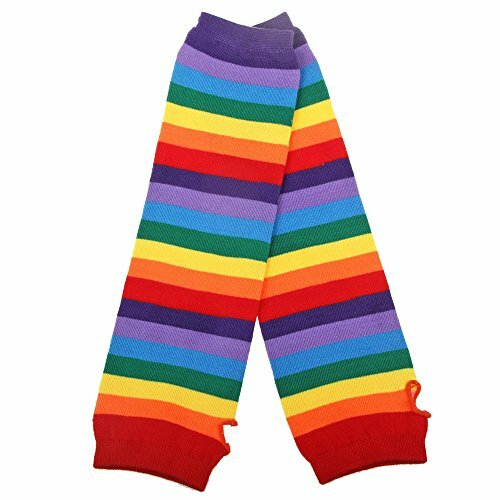 – This rainbow fingerless long knit gloves and stockings set is great as a gift for your family or friends, or a treat for yourself. It’s style meets functionality. – Do not wash by hot water; Do not chlorine bleaching; Hang dry in shade; Do not iron; Hand Wash or Spot clean recommended! 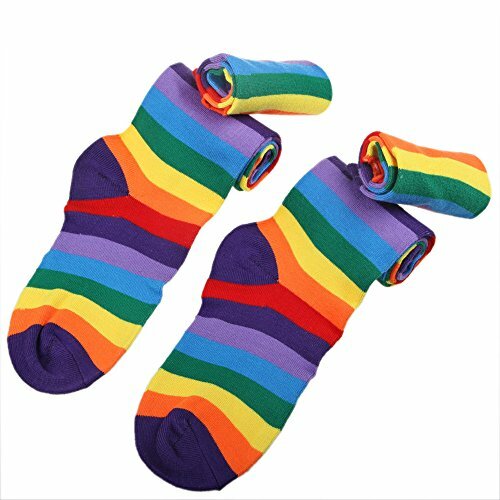 The rainbow socks gloves set are made of 80% acrylic & 20% spandex, soft & comfy. Designed with bright rainbow colors to attract other’s attention. 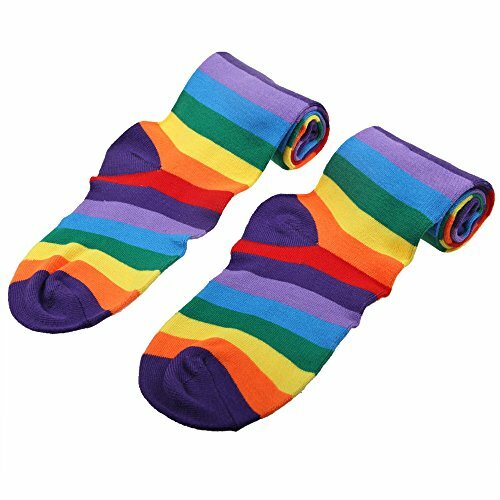 One Size Fits Most – Rainbow knee high socks are length 64cm and can maybe be stretched over the knees. 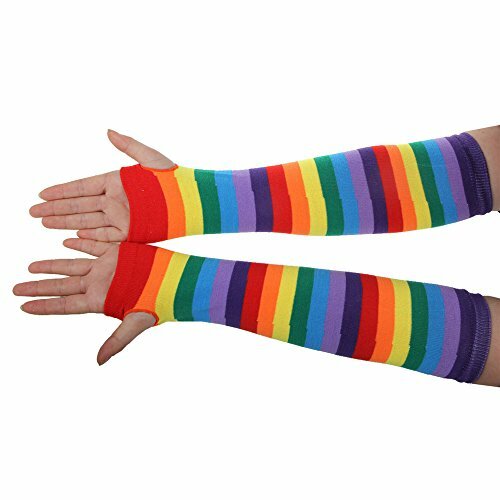 Rainbow striped fingerless gloves length 36 cm and can be stretch down 3/4 of the forearm. One size fits most women. Colorful Life – Simple but fashionable design keeps you looking good. This rainbow fingerless long knit gloves and stockings set are suitable for halloween costume, fun party, cosplay performance and show, get ones for highlight party and normal life. 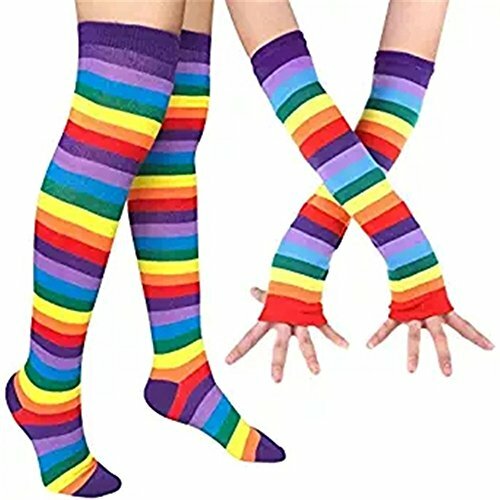 Best Valued – This rainbow stripe thigh high socks and fingerless long knit gloves set is great as gifts for your family or friends or a treat for yourself. It is a necessary beautiful and versatile accessory. Package including:1 pair knee high socks+1 pair fingerless arm warmer gloves.